UPP-SERIAL Cable for Unicorn, Pegasus and/or Phoenix Vehicle Counter/Classifier Units. 9-Pin din connector is used for standard serial ports. USB to serial adapters can be used in conjunction with this cable. 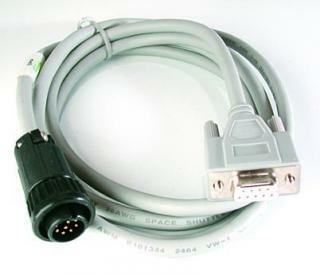 *Note - This cable is also used with the DataHog and TCC-4420 trail counter. Cable for Unicorn, Pegasus and/or Phoenix Vehicle Counter/Classifier Units.